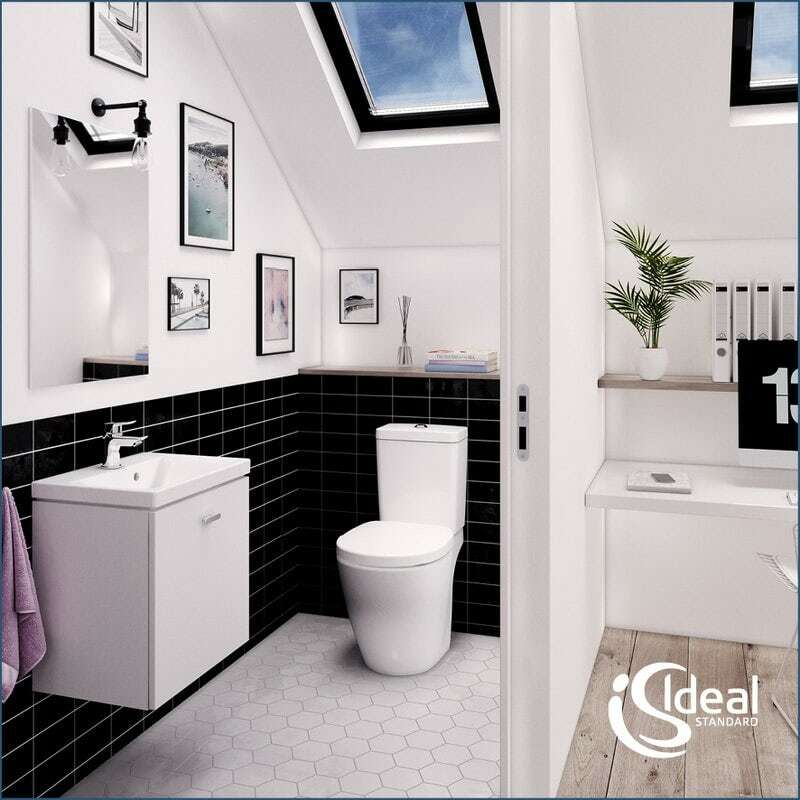 As part of our series of articles on Small Spaces, we asked Ideal Standard, the UK's No 1 bathroom brand, to give us their top tips on making the most of a small bathroom. If Google is the barometer of popularity in the world today, then the thousands upon thousands of searches for “small bathroom ideas” tells us that more and more people are looking for ways to tackle this particular issue. And it stands to reason if you think about recent trends in construction. Modern homes are more likely to have an ensuite, which is clearly small in itself but also means that the family bathroom will have lost some of its previously generous proportions. Then there’s the growth of high-rise urban living, where space is at a premium for young professionals in our major cities. So, with all this in mind, here are 5 tips to help you get the most from smaller bathrooms, cloakrooms and ensuites. Once avoided like the plague, corners actually provide a space to utilise. 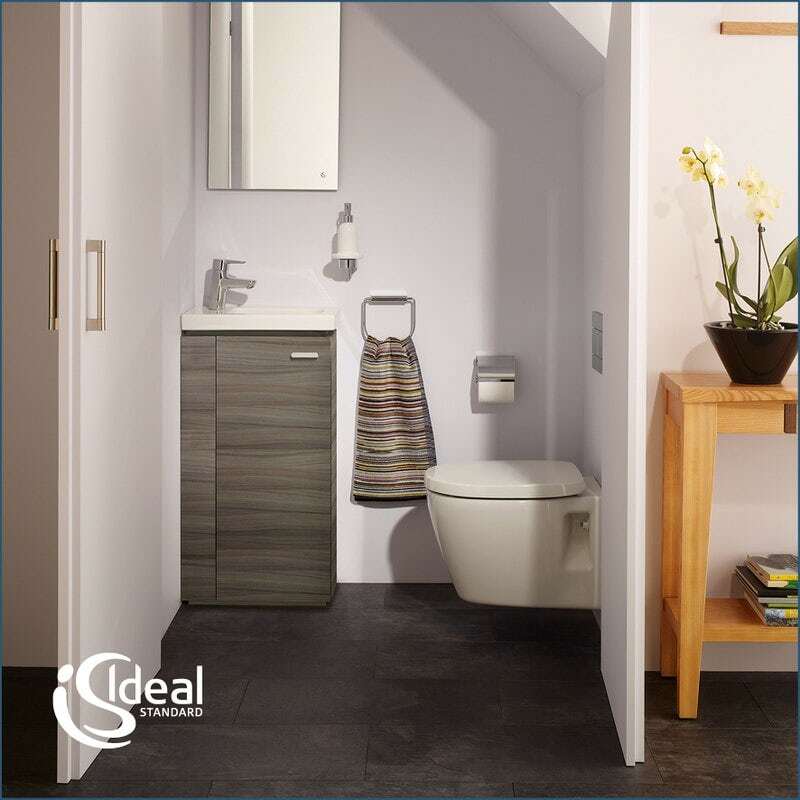 Intelligent design, such as the Concept Space corner basin and toilet, turns an awkward right-angled nook to its advantage, enabling you to maximise the space available and perhaps squeeze in that shower you’ve been thinking about. Small bathroom design doesn’t have to mean cramming as much as possible into a tiny space; it’s about optimising what you’ve got. If space is at a premium, short projection toilets and basins are ideal. But if you have a little more room, remember that many products are available in size increments, so consider upgrading from that 400mm basin to a 500mm option and adding furniture for a great look and the luxury of storage. For many years, if you looked under a basin, the chances are you’d find a pedestal. But designers today see the void beneath as a resource to take advantage of; a space that should be used to create additional storage. 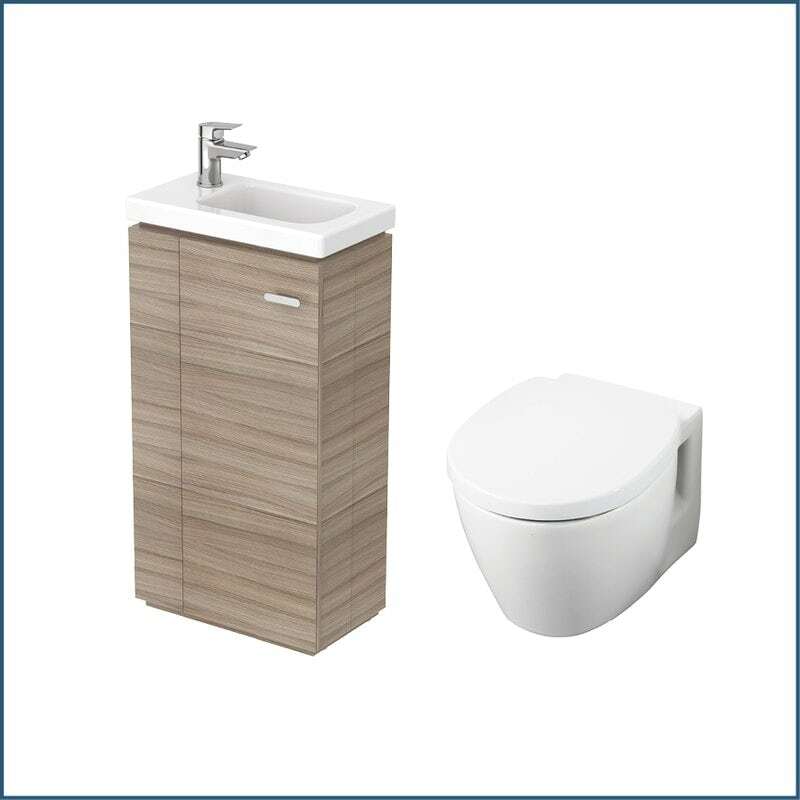 Vanity and freestanding units with inset basins provide somewhere to store toiletries and keep your bathroom clutter-free, whilst wall hung basins give your room a more spacious feel as they don’t take up valuable floor space. Discover more small bathroom ideas and advice in our Small Spaces hub. Think about how far doors and windows project within your space. Use infold and bifold shower enclosures and sliding doors where possible. 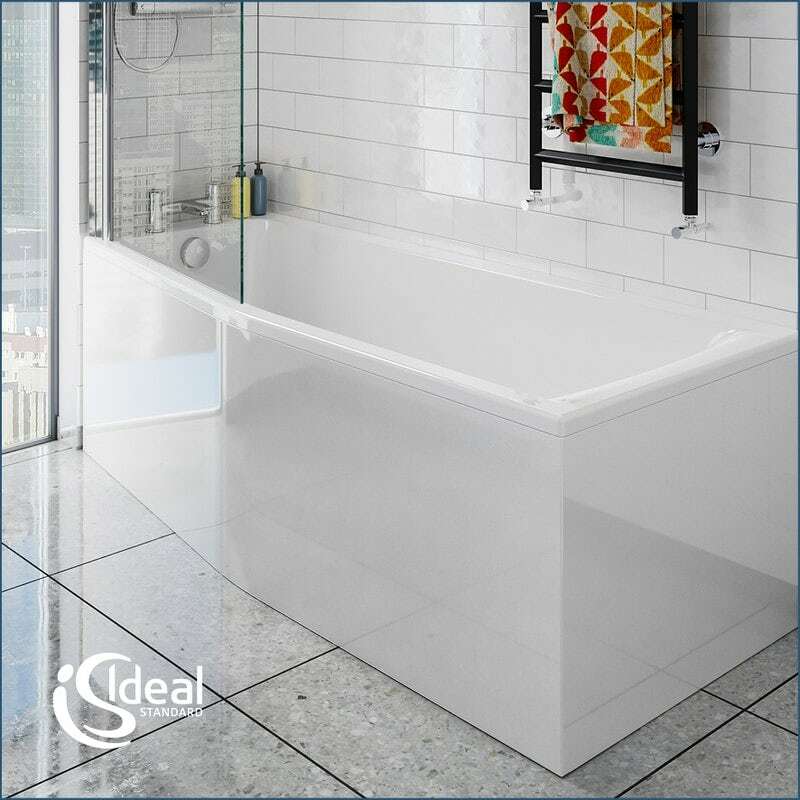 Utilise short projection and angled products such as the Concept Space Spacemaker bath, which tapers to fit around problem areas yet still offers plenty of room for a relaxing soak. Your understairs cupboard is for hiding away clutter, right? Concept Space allows you to forget your pre-conceptions and tackle age-old problems from a different angle. Look at this clever design (below) using the Concept Space 450mm basin with freestanding unit, plus toilet and concealed cistern. The point is, with the right products and a bit of imagination, it’s amazing what you can achieve. 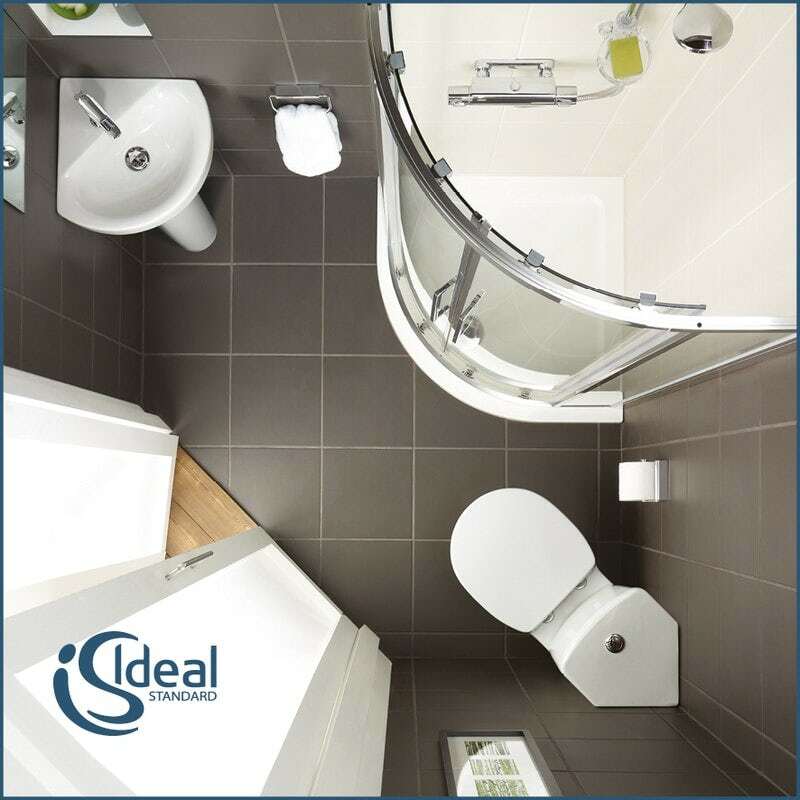 As you can see, the Ideal Standard Concept Space collection can help you overcome issues caused by small bathroom spaces. Shop the collection today. Who says small spaces can't be stylish? We've come up with some great tips for accessorising small bathrooms.